After working in the defense industry as an engineer for years, Brian Donovan bought a 1962 Jaguar to restore. It wasn’t the first car he’d restored, but from that moment on he was hooked on the curvaceous, legendary and pulse-quickening British marque. Years later, while working as an engineer for GE, he began racing his classic E-Type, and that same year he founded Donovan Motorcar Service. His dream seemed farfetched at first: He wished to transform his exhilarating hobby into a lifelong career and in doing so create a world-renowned dealership whose business-to-client relationship is second to none. His first shop opened just five years later, and a year after that he purchased another vintage Jaguar to add to his already powerful lineup. After 19 years of racing, Donovan decided to step away from the driving aspect of the sport and focus on turning his vintage racing team into a championship-caliber squad. Ask any aficionado of racing, and they’ll tell you that he succeeded. Donovan’s squad of two Jaguars have been racing and winning throughout the past decade on some of the most legendary and historic circuits in North America, but winning on the track isn’t his only passion. Donovan Motorcar Service soon grew into the most trusted and well-known Jaguar, British, European and domestic car shop in the country. 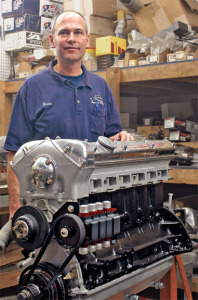 Donovan’s attention to detail and unwavering passion for the cars he’d grown up loving resonated with the numerous clients who have confidence that Brian Donovan is one of the best things that can happen to a classic car. His shops are run so that the client knows the mechanic and the mechanic knows the client and his or her car. Access to the garage, full consultations and even a client racing program all lend credence to the notion that Donovan’s company is truly unique. 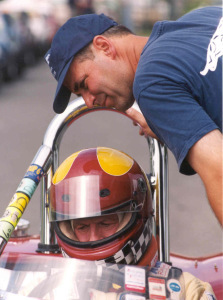 Brian Donovan’s professionally-run shop and racing team, with the premium they both put on success, authenticity, performance and loyalty epitomize the emotions that course through every vintage racing enthusiast’s veins.